20111027-DSC_6404.jpg, a photo by Andrea Pokrzywinski on Flickr. 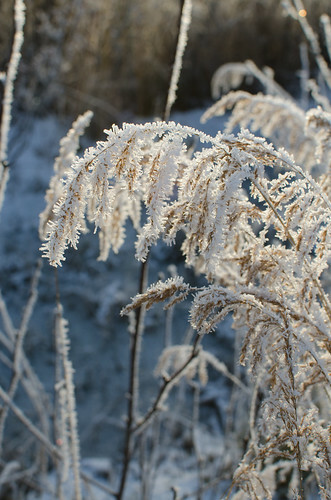 Warm Berring Sea winds produce beautiful hoar frost when the temperatures drop in the fall. ← Tuesday is Water Day!